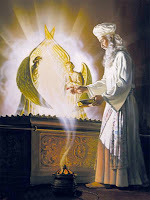 The question I proposed and have sought an answer for is what is the purpose of the Temple of Solomon? Phoenician architects and builders built it in a Phoenician design, to a God that commended his people not to build any graven images to him. This is why the Tabernacle in the wilderness was to be erected. It is clear Yahweh was first associated as a tribal war God that descended through the nomadic peoples of the Shasu, to the Midianites, and to the Israelites. But Solomon erected monuments to many Gods from foreign countries so why build a temple to Yahweh? Finally the mystery becomes clear if we look at Solomon’s motive from a political and economic standpoint. The Israelite people were in a period of transition from a nomadic people to establishing a Kingdom. From the wanderings of Moses, through the constant battles of the period of Judges, through the Conquests of Joshua and David, the Israelites now having established themselves as the Kingdom seek to evolve their culture, by doing so Solomon redefined the relationship between the people and God. It is my belief that the reason a Phoenician temple was built in Jerusalem was because Solomon was trying to incorporate Phoenician culture into Israelite culture. This is more because of economic and political reasons more then religious ones. Once the temple was complete it became the center of sacrifice for all of Judea. Under Moses, tradition tells us the culture was focused around the Torah, under Solomon the focus of culture was the Temple. This center of sacrifice was also the center for taxation of the people. The temple served to propagate the wealth of the state, not the wealth of the people. This was the standard system of taxation through out ancient civilizations. The people pay the priests to sacrifice their offerings in a ritualistic manner and to offer up prayers for their redemption. To achieve this integration of political structure it was necessary for Israel to culturally reinvent the God Yahweh from a nomadic tribal war God into a God that propagates a Kingdom cultural structure. So Solomon mimicked the success of Tyre as well as Egypt, which were known for their wealth. Solomon had them build a temple to create a system of taxation to support a kingdom. So it is reasonable to see the purpose of this temple being for Solomon to merge the mythology of the characters of Ba’al and Yahweh, to create a new God character, which supports the nationalism and structure of the Kingdom. So Yahweh not Ba’al is now recognized as the sun, and Ashteroth, the moon. This creates a new type of ritualistic ceremony for sacrifice, known as the Korban, a sacrifice is now given in place of a sin, rather then for victory in tribal war fare. Yahweh is then associated with the son, which is culturally necessary for a Kingdom, which is traditionally agriculturally based economically. This is because Judea needed a more regionally recognizable God to Ba’al so foreign traders could pay their sacrifice to the state or purposes of taxation. El also has a direct link to the creation of the Hebrew people. Shortly after Abram receives God’s calling to travel to the promised land and create the foundation to his people he is met a Priest King of El Elyon, or El most High, by the name of Melchizedek, who’s name translates to “my King is Righteousness”. He comes to bless Abram in the name of El and to establish his calling by the means of the first Eucharist. It is following this ritual event that God makes the covenant with Abram, after this event would take the new name Abraham, to deliver the Promised Land unto the children of God. So it is clear that is was El, not Yahweh, which made this covenant with Abraham. I find it interesting that Elohim is the plural version of El, this is why the Elyon is added to show the distinction of Most high, as opposed to Elohim which is a title for plural Gods. This is mostly a cultural difference I believe, but it would only be natural if you were building a temple to the Most High God to have worshipers of El to construct it. 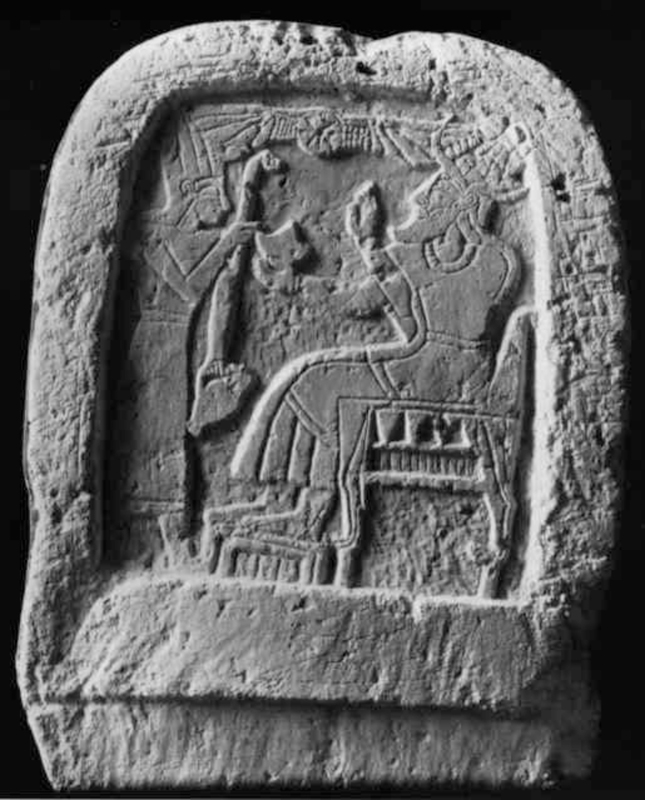 It is El who created Ba’al the central figure to extract taxes through ritual sacrifice, and just as Elohim who acted to create Yahweh who now became a central figure to extract taxes through ritual sacrifice. Before our very eyes we see the cultural and spiritual evolution of a Deity. Culturally, Yahweh was no longer seen in a tribal perception. It was Yahweh that delivered the Israelites unto the Promised Land, so he still remained a God of national strength for Judea. 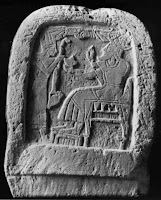 But it is clear that Yahweh took on new aspects Canaanite deities to become a multi-dimensional Deity who could embody both the aspects of a Father figure, El, to amend sins to, as well as a Sun God, Ba’al, to support the transition to a agricultural society, as well as a national God to direct all worship to for taxation purposes. So by now I hope you have come to the conclusion that cultural transitions is essential to how an individual can perceive Deity. This is because the individual will perceive abstract concepts from a cultural perspective. But these merging cultures of the region changed the way a culture perceived deity and changed their relation to divinity as a people.